Test your knowledge of the Asia-Pacific region with The Diplomat‘s weekly news quiz! Welcome to The Diplomat‘s weekly quiz. Each week, we will curate a list of 10 questions on recent events in the Asia-Pacific region (with occasional historical questions thrown in for variety). 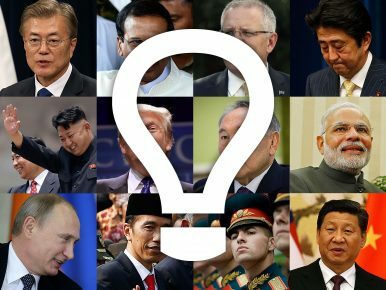 These questions will cover all the topics we cover here at The Diplomat, including the politics, economics, security, culture, and history of the vast Asia-Pacific region. Rest assured, the answers to each question come straight from our pages. Usually, the answer to any given quiz question will be found in a recent article we’ve run. So, as long as you keep up with The Diplomat, you should be on your way to an easy 100 percent score on each of these quizzes. You’ll get to see your score and the average score across all our readers at the end of the quiz. Well? What are you waiting for? Have a go at our quiz and find out just how well you know the Asia-Pacific this week. What is the name of the military exercise India and China are slated to resume in December 2018 after a one-year gap? How many indigenous languages are spoken in Bhutan? Near which of the following features did the United States Navy conduct a freedom of navigation operation in the first week of December 2018? What is the poverty rate in Cambodia, according to September statistics released by UNDP? What does the ‘1992 Consensus’ refer to? Which of the following North Korean officials is considered a virtual ‘number two’ to Kim Jong Un in the country’s political system? What kinds of weapons did the Intermediate-Range Nuclear Forces Treaty prohibit the United States and the Soviet Union from possessing?